The head of the EU's permanent bailout fund has said Ireland was "right" to exit the bailout without a precautionary credit line. 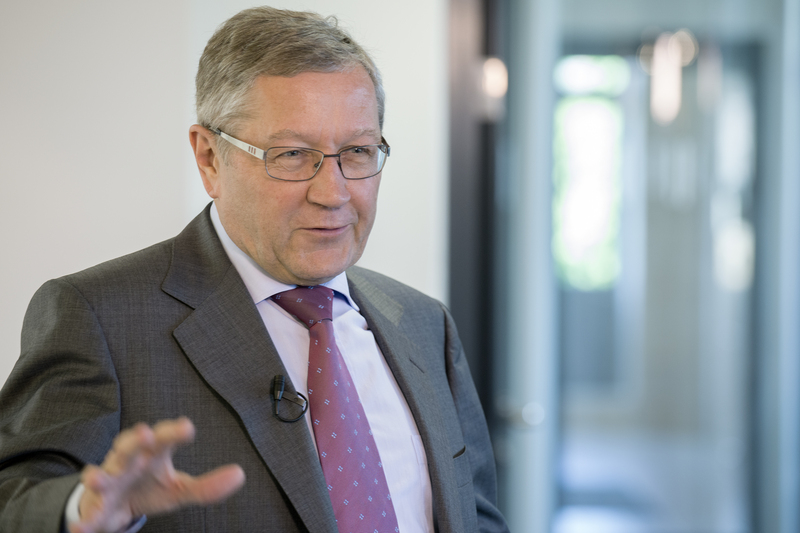 Klaus Regling, the managing director of the European Stability Mechanism (ESM), said market reaction to the Government's decision showed it was the correct one. He told RTÉ News: "I think the reaction from the financial markets indicates it was the right decision, because they are very happy. Interest rates have dropped further after this decision by the Government, and I think they have good reasons." Mr Regling was making his remarks as the predecessor to the ESM, the European Financial Stability Facility (EFSF), issued its final instalment of the EU element of Ireland's bailout. The final tranche is worth €2.27 billion. Asked if Ireland might access some of the ESM's €500 billion facility to compensate for the recapitalisation of Irish banks following the property market collapse, Mr Regling said it would be "difficult" since any provision for retroactive recapitalisation would require a change in the ESM treaty. That in turn would need ratification by 17 euro zone parliaments, including the Bundestag. However, he said that if agreement was reached then the idea that the ESM could take an equity stake in the pillar Irish banks, Bank of Ireland, AIB and Permanent TSB, was "possible." No decision on this would be made for at least a year, he added. Mr Regling said he had no concerns about any future holes in the Irish banking sector. He said the sector had been scrutinised several times and there would be a further ECB stress test and asset quality review next year. "We'll see then if there are any capital gaps but I don't expect that to be the case," he said. Mr Regling ruled out any future restructuring of Ireland's debt, which currently stands at 125% of GDP. "I would rule that out. I don't think it's needed, and there is no appetite on the creditor side to do it," he said. He added that much of Ireland's debt stock was stretched over 22 years at "very low" interest rates. The size of the debt pile was therefore "not very meaningful", he said.